Earlier this year we had the pleasure of visiting the home of Lydia, one of the children benefiting from ChildFund Ireland’s sponsorship programme in Uganda. Earlier this year we had the opportunity to visit one of the children to benefit from ChildFund’s sponsorship programme. Lydia, a shy and intelligent girl, is sponsored by a ChildFund Ireland supporter from Co Meath. 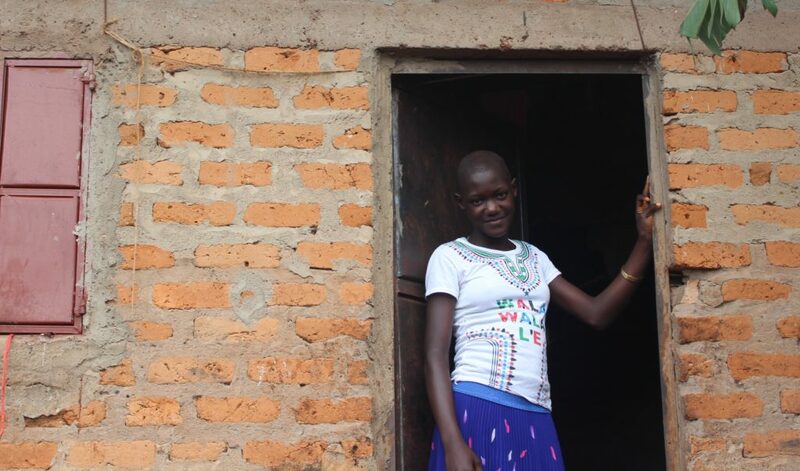 She lives with her family in the Masindi district of Uganda, some 220km from the capital city Kampala. Calling in to meet Lydia and her family was a real honour, however getting to her family’s residence was not easy! The road to Masindi is a good, paved road that stretches all the way from Kampala. Once we drove off-road however we had to rely on the skilled manoeuvring of our driver who battled gamely in a four wheel drive vehicle through the thick red mud of a road softened by a recent downpour. The sun came out again just as we arrived and It was such a pleasure to finally meet Lydia and her family. Lydia was a little shy on the day we visited, as we asked her to explain what being a sponsor child has meant to her, and her family too. The generosity of one kind Irish sponsor has made such a big difference to the quality of all their lives in this remote part of Uganda. 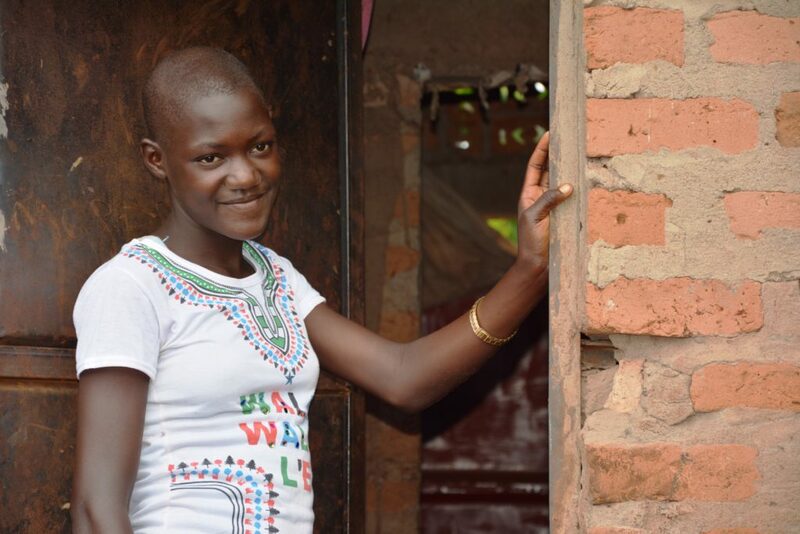 Lydia is proceeding well with her schooling and can have confidence about her educational future and the opportunity perhaps to go to college when she is older. Children who benefit from the support of sponsors have a far greater chance of educational progression than those who do not, and this could be important in helping to support the family when Lydia is older. What Lydia was really proud of though, and was eager to show us, was the brick building in the family compound that has become her own dwelling. The construction of this mini home was only made possible thanks to some additional financial support provided by her generous Irish sponsor. With conditions for the family generally cramped, Lydia, a growing girl, now has her own little domain. Its an important space to help her maintain her study, which is ultimately important for the whole family. Global development work is fundamentally about helping people in small but profound ways to help themselves, and ultimately, to lead sustainable lives. That is what people in the developing world want more than anything, to be masters of their own destiny. They just need a helping hand to get there. 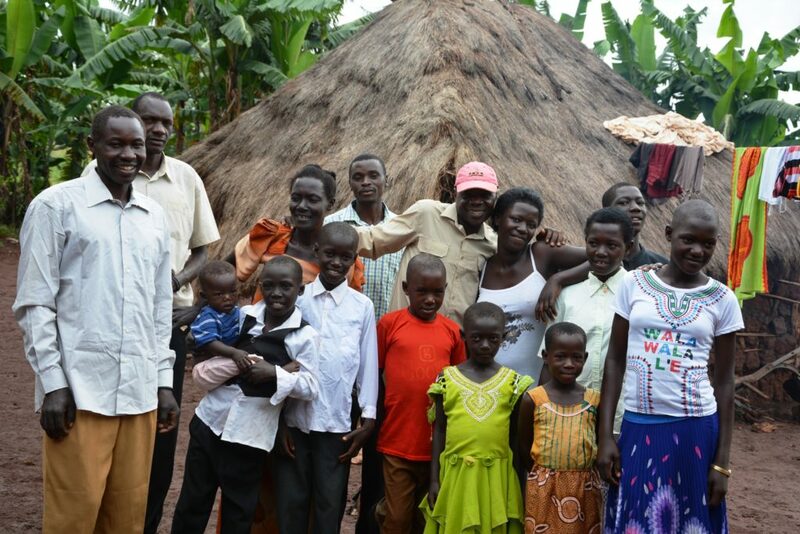 The support of Lydia’s sponsor has enabled the family to buy some Oxen. These animals can be important assets for a family struggling to climb out of systemic poverty. They can be used to plough the fields, allowing crops to be sown. This in turn helps increase the family’s food reserves and their potential income as they sell or barter goods. Thanks to the support of her sponsor, Lydia and her family have been able to buy a crop of land where they grow maize to further improve the family’s ability to feed and sustain itself. The Oxen have come in very handy in cultivating and ploughing this piece of land! The beauty of the sponsorship scheme is that it benefits not just the child, but also those in the child’s immediate orbit. ChildFund believes that the best way to help vulnerable children thrive is by creating the most supportive and protective environment possible around them. With a good, stable home life and a solid community base that sees neighbours help each other out, the child can best benefit from the direct interventions that sponsorship support brings. In Lydia’s case, the additional support of the sponsor enabled the drilling a local well nearby. Clean water can now be sourced where before only dirty water was available, with all the prospects for dangerous disease that it brings. The local community can also access this well, so while Lydia’s sponsorship support is helping her and her family stay healthy, it is also helping her neighbours too. Before we left Lydia and her family, Lydia told us she had something special she had prepared to mark the occasion. She insisted on planting a banana tree in honour of our visit. Banana trees are very important plants in Uganda and many people grow these in their gardens. We hope this particular tree grows to be as strong and proud as Lydia, and enjoy a bountiful future. If this story has touched you, or prompted an interest in our child sponsorship programme – then please, give us a call (01 6762128), write to us (c/o ChildFund Ireland, 22 Windsor Place, Dublin 2), or click the link below and find out more about this wonderful opportunity to directly intervene in the life of a child who could really use your help. Your modest support can be a major foundation stone to help put deserving children like Lydia on the road to a happier life, one filled with greater promise and opportunity.